The first phase of voting of Lok Sabha Elections 2019 ended on Thursday evening, April 11, with four candidates contesting from a lone Lok Sabha seat in Nagaland. The overall voter turnout recorded from the Nagaland parliamentary constituencies at the time of ending of polls was 78 percent. With contestant namely, K L Chishi from Congress, NPP's Hayithung Tungoe, sitting MP NDPP's Tokheho Yepthomi, and M M Thromwa Konyak running independently, the polling began at 11.00 am on 11th of April. Consisting of a unicameral legislature, the state may see over 11 lakh voters for the Lok Sabha elections. 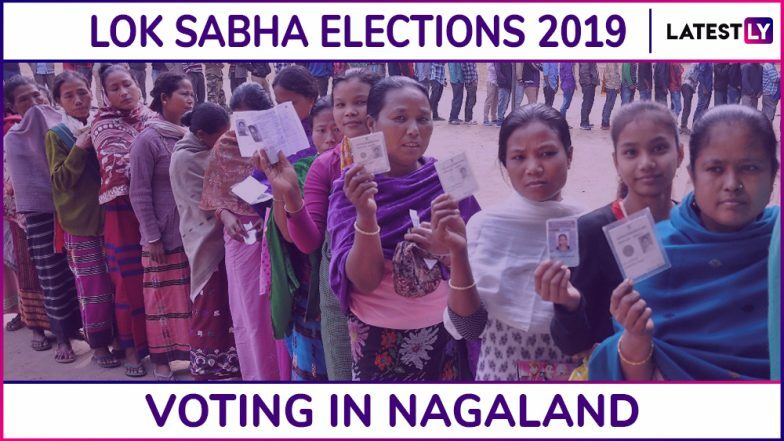 Nagaland Lok Sabha Constituency in Nagaland: Candidates, Current MP, Polling Date And Election Results 2019. Lok Sabha Elections 2019 voting is to take place in seven phases of which today, 11th April, is the first phase whereas the last phase of voting will take place on May 19. The counting of votes will take place on May 23. Nagaland Lok Sabha Elections 2019 Schedule: Constituency Wise Dates Of Voting And Results For General Elections. Nagaland's present Chief Minister TR Zeliang belongs to the Naga People's Front party. For the 2014 general elections in Nagaland for Lok Sabha seats were held in a single phase leaving the Naga People's Front with a vote share of 68.70 per cent defeating Congress by a margin of 38.60. Last year over 75% polling was witnessed in Nagaland- the state which is only represented by one member in the Lok Sabha and one in the Rajya Sabha, because of its low population in comparison to other states.